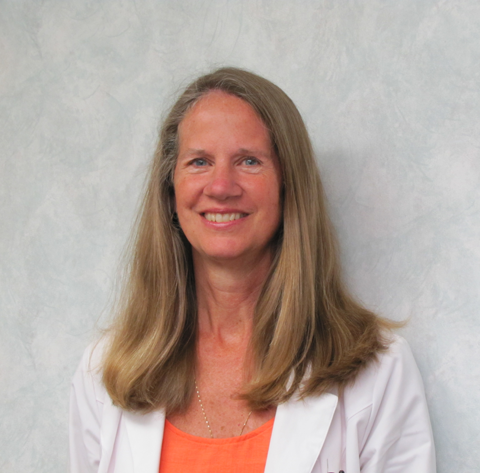 Dr. Diane Ebaugh has been practicing Family Medicine at Thornapple Valley Family Health for 30 years. Dr. Diane Ebaugh has been practicing Family Medicine at Thornapple Valley Family Health for 30 years. She holds a BS degree from the University of Michigan and a MD degree from Wayne State University. She completed her residency in Family Medicine at Bon Secours Beaumont Hospital. She is a fellow of the American Academy of Family Medicine. She enjoys running, golf, and competing in triathlons and is a founding member of the Trilanders Multisport Club. Dr. Ebaugh and her husband, Mike Dimond live in Hastings and have 2 young adult children, Jill and Dan, and 3 siamese cats.